Have you heard? 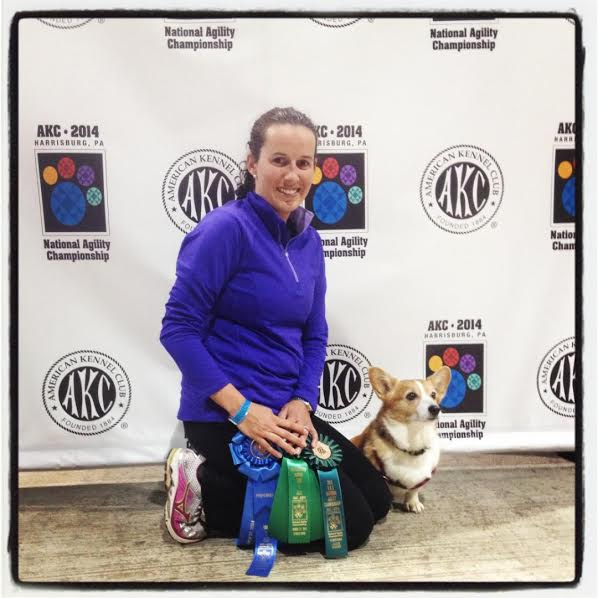 Corgis — Cardigan and Pembroke — absolutely rocked the 2014 AKC Agility Nationals! 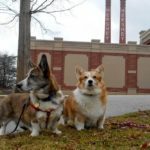 A bit late but worth the wait: today’s final wrap-up, delivered to Daily Corgi headquarters by intrepid blogger, competitor and Corgi Mom Megan Arszman! 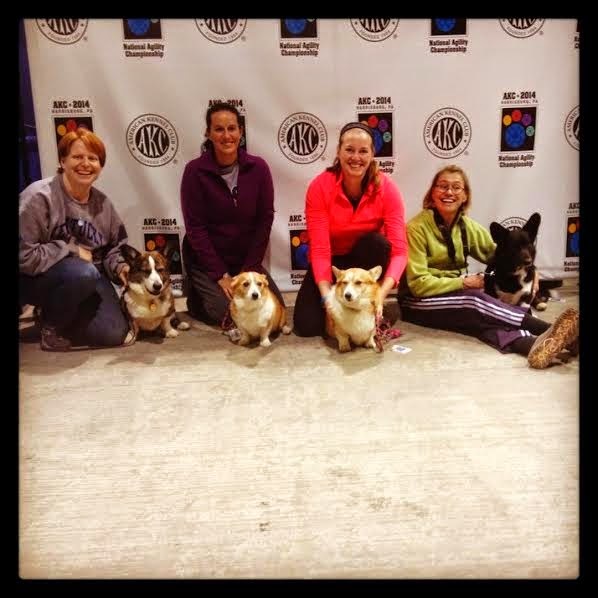 Check out Megan’s pre-competition and mid-competition posts for bio info and more information on this talented, fun-loving bunch of Corgis and their people. Round 3 of the competition dawned rainy and gross in Harrisburg. We had high hopes for #TeamDailyCorgi to finish strong in the Hybrid in the morning, with trips to the Challengers and Finals Rounds on the line. Megan and Dally with their “Clean Run” green ribbons. Unfortunately, Dally and I came up short. Just like the past few years, we couldn’t capitalize in Hybrid. Instead, something caught her eye and spooked her, causing her to refuse the weaves and then want to end the run early. Our Nationals experience was over. Videos of our best runs are posted on my blog Agility On Stumps. We stayed to watch the other two #TeamDailyCorgi members in the 4-inch division. Maddie had a smoking run; Becky was pushing her to earn a placement, and she did exactly that! A clean, fast run earned her second place and a trip to the Challengers Round. Merinda and Porter had one weave pole problem, but her placement from Standard and fast times got her a spot in Challengers, too. Check out Taryn’s spirited summing up of her memorable visit to Nationals with Jimmy, at her blog A Tail of Two Cardis. “The 2014 AKC National Agility Championship far exceeded my expectations in every way. This was our first time competing at the NAC, and I honestly had no idea what to expect. Competing at this level in agility is very exciting. The rush and intensity of the competition is addicting. I can’t wait to be there again. Every handler, volunteer, judge, field rep, and vendor were supportive and enthusiastic about the competition. The camaraderie between competitors, specifically the other Corgi handlers/owners, was amazing. I came home with many new agility friends. I am prouder than ever proud to be part of this sport. Meanwhile, fierce competitors Roger and Keebler laid it out on the line. After knocking a bar on Saturday, he knew they needed a placement to get into the Challengers Round. With a flash of her signature tail, Keebler finished 4th. Her Hybrid run was awesome. So fast! Roger was in good form, but unfortunately Keebler was way too hyped to hit her down contact on the dogwalk. Merinda and Porter: We are the CHAMPIONS! And finally, Porter. 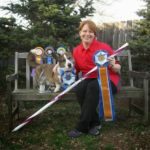 If you haven’t heard the news yet, Merinda and her Cardigan Welsh Corgi Porter aced the Finals course and came out on top, emerging as National Champions in the 4-inch division! Porter will have his own post on The Daily Corgi soon. He’s earned the big ribbon and the bragging rights, too. Cleo, another Cardigan, finished third, and a Pembroke Welsh Corgi named Piper finished in fourth place. 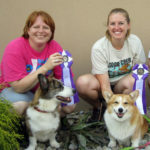 Finally, Cardigan Welsh Corgi Marti earned third place in the 8-inch Regular division. Bottom line? Corgis totally rocked this year’s Nationals! So proud of all the low-rider teams! 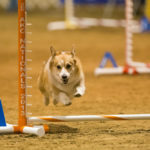 All of the corgis, Pembroke and Cardigans were awesome…so great to see such devotion to the breeds and to the game. I loved watching them and I am so proud of all of you that participated!! Wonderful job to all the corgi owners!! Makes me so proud to have a pack of them too! !